Live tiles return to start menu on reboot and when waking from sleep. Discussion in 'Operating Systems' started by viivo, Feb 8, 2019. Not sure why it suddenly started doing this. 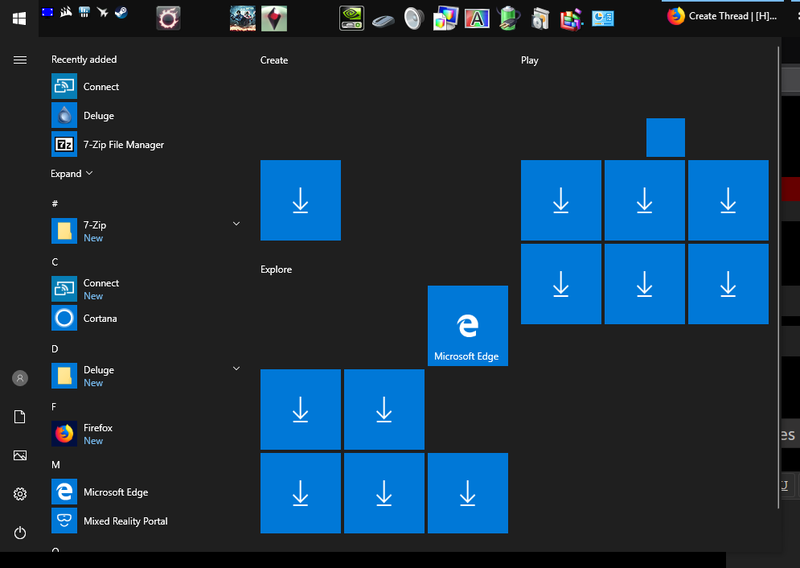 Turning off and removing live tiles is one of the first things I do on new Win10 installs, and they've always stayed gone until this last week. I've tried disabling and removing multiple times but the same pattern always returns. No major updates, hardware, or software have been installed. Is this a fresh install? If so, you have to let them download first before removing them. Just open the Store and go into updates and let everything update. You may have to run the updater a couple times. Once it's all done, then uninstall the apps you don't want.